October 4, 2017 Update: With generous donations, The Conservation Fund is nearing its’ goal to protect Anchorage’s most beloved wildlife viewing area (150,000 visits a year!). We say “nearing”, because the goal hasn’t quite been reached yet. Read on and if you haven’t already generously donated, please consider doing so. 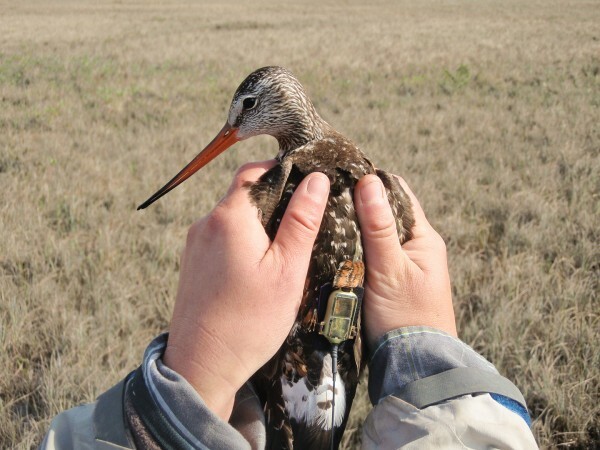 Recently AAS has supported the efforts of scientists in the Anchorage and Upper Cook Inlet areas to further their research of the Hudsonian Godwit. Never common, the Hudsonian Godwit was for many years hunted for food and became scarce. Now completely protected, it has increased in numbers considerably, although it is still considered a rarity. Most Anchorage residents are probably not aware, but the Upper Cook Inlet region (including) Anchorage is one of only four (4) major breeding areas for this handsome and beautiful shorebird on the entire Earth! Anchorage residents have the opportunity to see this beautiful shorebird daily between mid-May and mid-August! That makes the combined mud of Knik Arm and Turnagain Arm around Anchorage some pretty choice mud! The other three (3) major breeding areas are in Canada; one (1) at the mouth of the Mackenzie River in the northern Yukon Territories bordering the Arctic Ocean, one (1) on the south-western shores of Hudson Bay in Manitoba, Canada, and one (1) on the southern shores of Hudson Bay in Ontario, Canada. It’s sometimes said, that conservation begins in your own backyard. What better way to assist with conservation than to take care of one our own “backyard” birds – the Hudsonian Godwit! Thanks for all our AAS members for their support of this important effort! 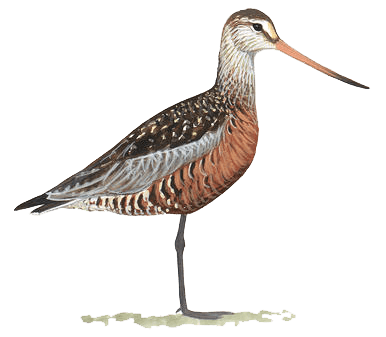 If you’re are able, please consider continuing your support so we can continue assisting with the Hudsonian Godwit (and others) conservation effort!